The Abbazia Country Club Hotel is in Nemesnép, at the boundary of three regions (Őrség, Göcsej and Hetés). Their services include riding, which is an attractive option for adults as well as children. 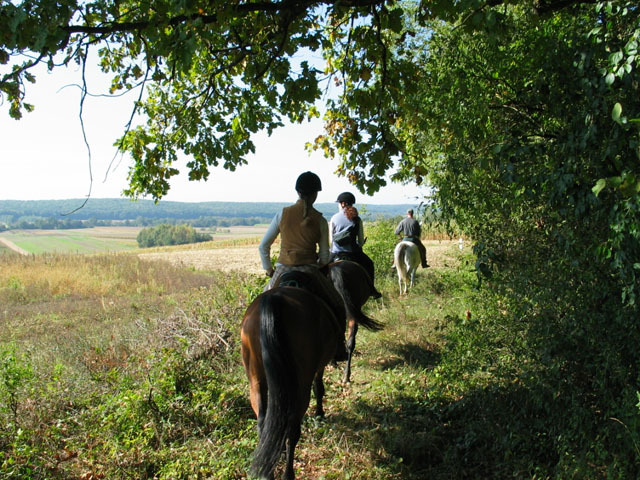 Riders can explore the landscape through woodlands, endless meadows, rivers and beautiful lakes. The meadows are maintained in part to provide food for the horses, which are an important cultural tradition in Hungary. The hotel itself provides employment, linked to the riches of nature, for a third of all those living in the local village of Márokföld. The area abounds in game, so that riders can see red deer, roe deer, wild boar, pheasants and hares, which are little disturbed by people on horseback. 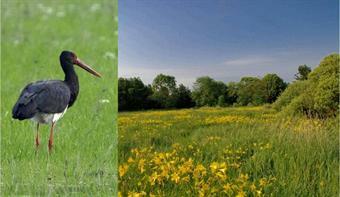 A real rarity, the black stork, nests in Nemesnép and only six other places in Hungary. In this region, there are many rare plant species, including orchids, day-lilies and dog-tooth violets. A rich variety of fungi is available for the restaurant and can add to the interest of self-catering apartments. Dogs too are welcome visitors.